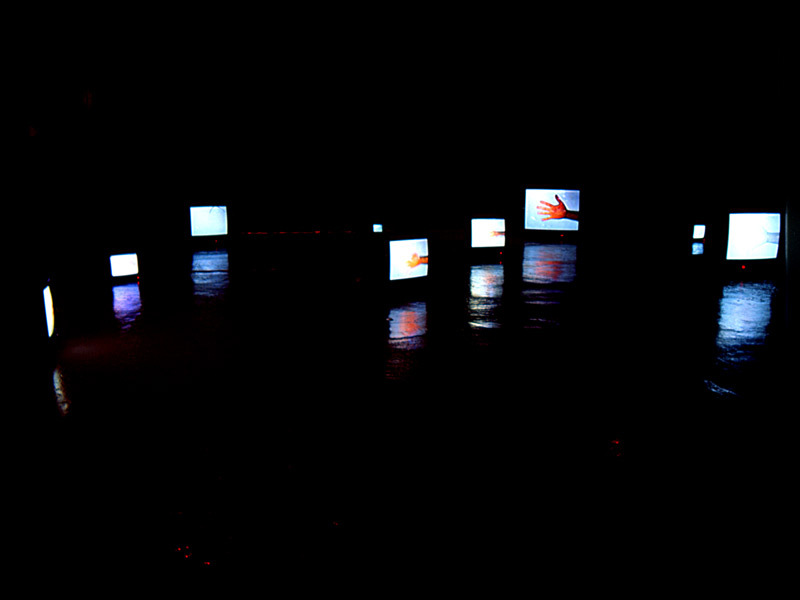 monitor sizes from 5" to 50"
The video installation Manufractura consists of nine separate video loops. 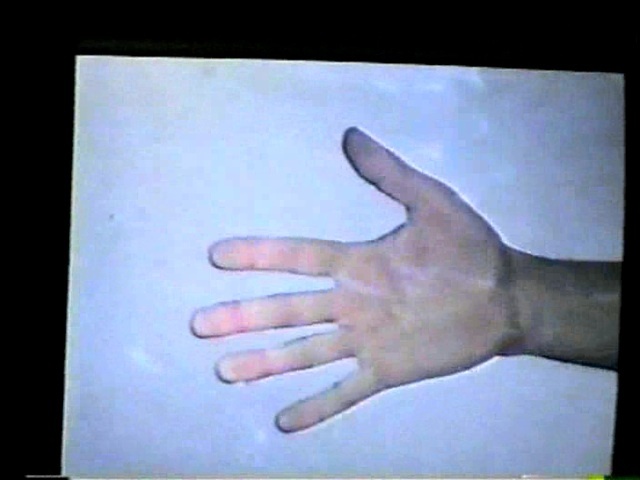 Each of which is created by manipulating the source video - the same short video sequence of a hand slapping a pane of glass - into nine different speeds. 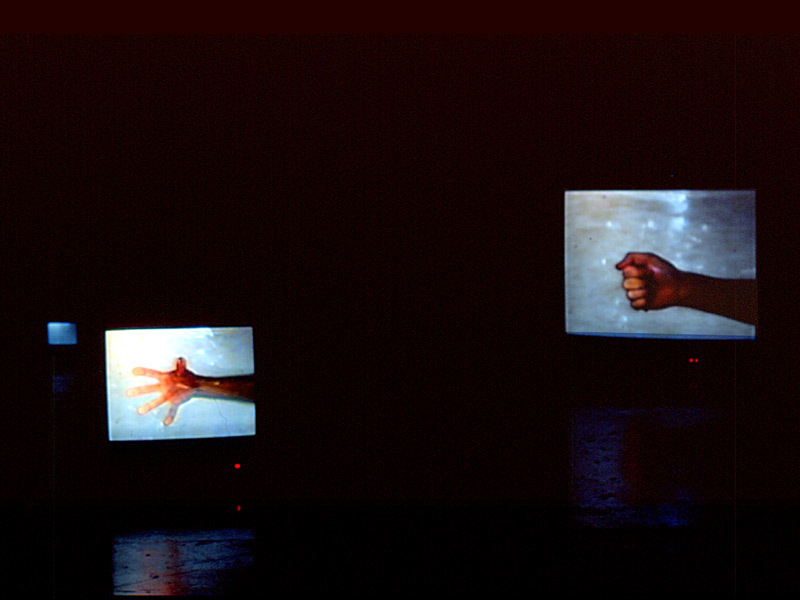 The resulting nine video loops create a symphony of sound which continuously changes and shifts from subtle, quiet phrases to cacophonic intensity and back. Different length of each video sequnec/loop mean that the relationship to each other is constantly changing and the 'composition' is changing over time.